Ultra modern facilities for exercising and practicing racket sports of all types. 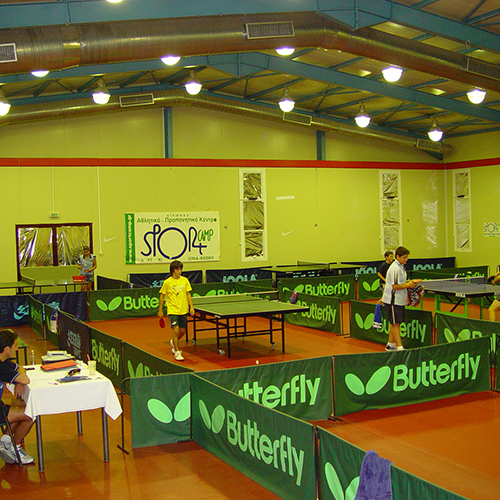 The Athens Olympic Sports Complex and its Tennis Centre with 16 floodlit Decotuff II hard courts, located within one hour distance from SPORTCAMP facilities, allows Olympic standards training. The main court of the Olympic Tennis Centre has four electronic scoreboards. The Athens Olympic Sports Complex (OAKA) may provide all supporting services required during integrated sport training or high standards tournaments. Training and other events in the OAKA Olympic Tennis Centre could be associated with accommodation in selected hotels close to the venue. 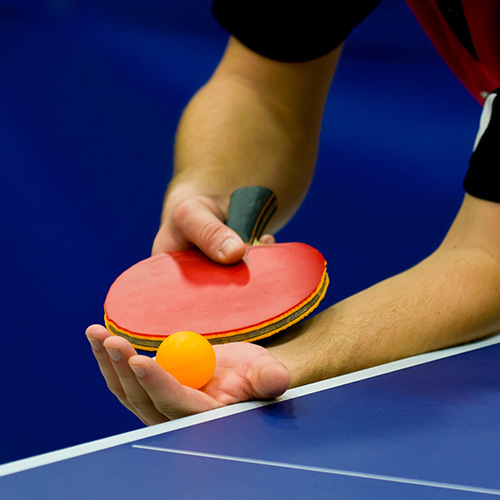 Any Table Tennis athletes choose SPORTCAMP for their training, including Kalinikos Kreanga, Gold Medalist in the 2011 Europe Tope-12, Panagiotis Gionis and others members of the Hellenic National Team. SPORTCAMP has the appropriate and accordingly fully equipped training rooms (taraflex surface, training tables, etc.). The most modern Squash court in SPORTCAMP offers to athletes of different skills and abilities the opportunity to enjoy training and join tournaments of high standards. Our fully equipped courts and our contemporary facilities are able to host any training program for the sport of Badminton at all levels.